For a long time electric and plug-in cars have been thought to be the only plausible and efficient alternative to conventional fossil fuel cars. Nearly all of the world's car makers have rolled out some sort of hybrid car and are heavily investing in these eco-friendly alternatives. However, even with the all the financial incentives offered by countries to promote the use of these energy alternative cars, the demand is still not as strong as the auto industry would have liked. However, manufacturers such as Toyota, Hyundai and Honda have turned their attentions away from electric cars to another alternative--hydrogen. The automotive manufacturers are leading the way in development of hydrogen fuel cells, in which they are convinced as to being a more viable fuel alternative. Hydrogen fuel cells are able for delivering 300 miles of performance compared to the electric or hybrid models that usually do not get more than 80 to 100 miles. Hydrogen is also considered an even cleaner fuel alternative to hybrid cars as the only byproduct is water. However, the reality of hydrogen cars isn't some distant goal. 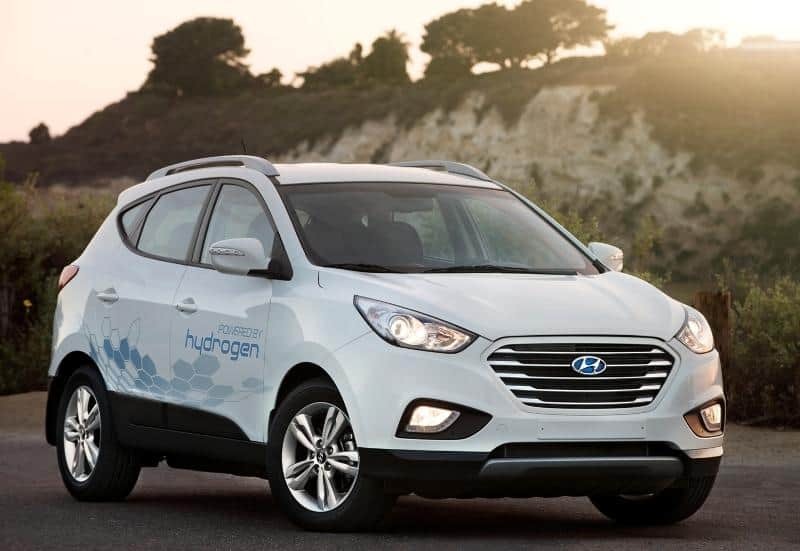 Hyundai is set to start selling its Tucson Fuel Cell SUV and Intrado at certain dealerships in Southern California this spring. Toyota is set to launch their own yet to be revealed hydrogen powered car next year proving that the once pipe dream of hydrogen fuel is already poised to hit the market. However, if governments want hydrogen to become commonplace, they will need to work with these car manufacturers and fuel suppliers to build a network of hydrogen-friendly fuel stations. Until hydrogen fuel becomes practical and convenient it is likely the public will fail to take advantage of this clean alternative fuel source.